In this exclusive audio broadcast Emmy Winner Charlotte Robinson Host of OUTTAKE VOICES™ participated in a conference call immediately following the Fourth Circuit Court of Appeals ruling in Virginia’s Bostic v. Schaeffer marriage equality case. This marks the second favorable federal appeals court ruling since last year's historic Windsor decision by the U.S. Supreme Court. The call was hosted by Adam Umhoefer, Executive Director of American Foundation for Equal Rights (AFER) and joined by Virginia’s Attorney General Mark Herring and Bostic’s co-counsel Ted Olson and David Boies. Gregory Nevins, Supervising Senior Staff Attorney at Lambda Legal and James Esseks, ACLU Director of the Lesbian, Gay, Transgender and Bisexual Project were also on the call. 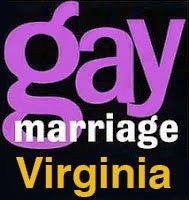 This historic decision represents a major milestone towards marriage equality in this country as the United States Court of Appeals for the Fourth Circuit in Richmond, Va. affirmed the District Court decision in Bostic v. Schaefer that found Virginia’s ban on marriage for gay and lesbian couples unconstitutional. The decision also paves the way for West Virginia, North Carolina and South Carolina to strike down their marriage bans since those states are under the jurisdiction of the U.S. Court of Appeals for the Fourth Circuit. Maryland, the fifth state in the Fourth Circuit passed marriage equality in January 2013. In November 2006 voters in Virginia amended the Virginia Constitution to define marriage as solely between one man and one woman and ban recognition of any legal status “approximating the design, qualities, significance, or effects of marriage” for gays and lesbians. Bostic was filed in the United States District Court for the Eastern District of Virginia in July 2013 on behalf of Tim Bostic and Tony London of Norfolk and Carol Schall and Mary Townley of Richmond challenging the constitutionality of these laws on the grounds that they violate the Equal Protection and Due Process Clauses of the Fourteenth Amendment of the United States Constitution. This decision is a major step forward for our LGBT families. Thanks for sharing such significant successes. Will follow the Supreme Court's actions as we move forward. Yeah Virginia.